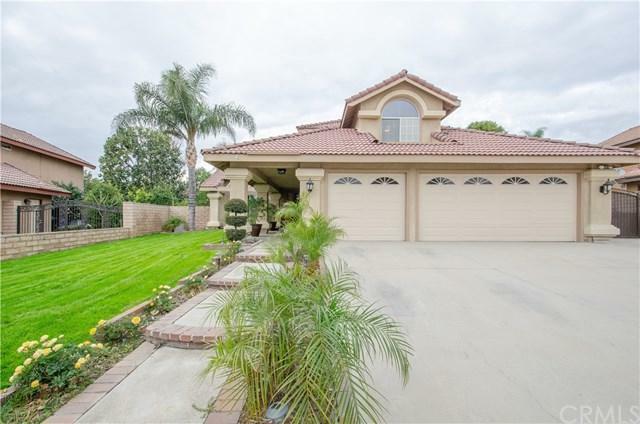 Spectacular home boasts oversized, pool size lot with compelling curb appeal! Amazingly-Designed floor plan in a pride of ownership neighborhood. Wood laminate entry opens to step down living room and dining room with soaring vaulted ceilings. Plantation shutters throughout the entire home. Elegant remodeled kitchen with custom cabinets, granite counter tops highlighted by under cabinet lighting, and stone backsplash. Spacious family room with a brick decorated fireplace, recess lighting, complimented by attractive laminate wood flooring overlooking expansive private rear yard through updated sliding doors. Enjoy the convenience of having "1 bedroom and full bath downstairs." 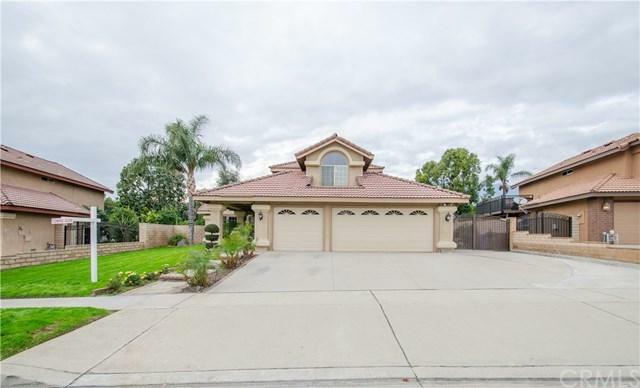 Upstairs you will find 3 additional bedrooms including a delightful master suite offering dramatic vaulted ceilings, opens to large remodeled master bath with double sinks, custom cabinets tub & separate step in shower. Enjoy backyard entertaining under the covered patio with ceiling fans and additional electrical outlets. Large, manicured rear yard landscaped, perfect size to build your own pool, all fenced with stone walls. 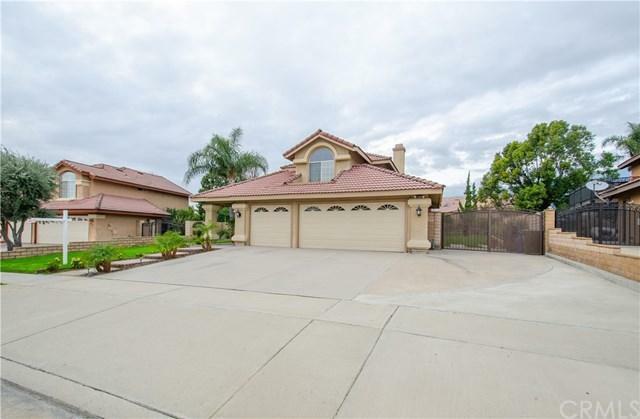 Enjoy, 3 car garage with RV parking and iron gate. 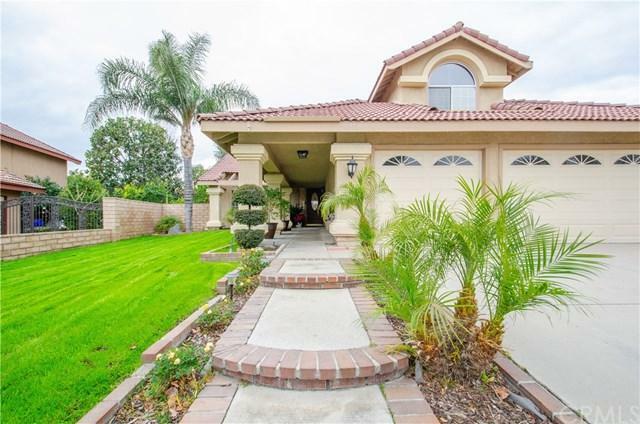 This home is located in the award winning school district and easy access to the freeway. Do not miss the opportunity to become this homes 2nd owners! Sold by Norma Covarrubias of Kw The Lakes.